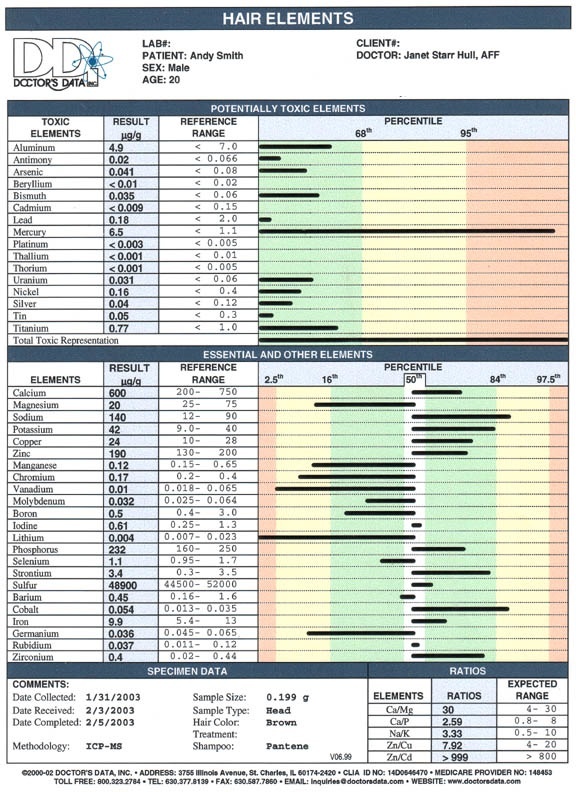 A hair analysis showing toxic levels of mercury. Heavy metal poisoning results from the accumulation of metals in the body past trace amounts. Common examples of metals that are toxic in any amounts are mercury, lead, cadmium and arsenic. This is why I am a firm believer in having at least one hair analysis done in your lifetime. Stop guessing if your body is burdened with heavy metals, and uncover your source of exposure so you can remove it. If heavy metals are inside of your body, you can remove the source, detox your body, and restore any nutrients the toxins have destroyed. 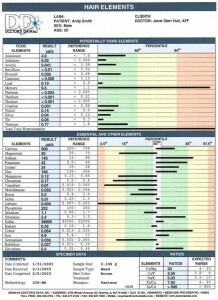 The hair analysis is a very good tool to help you discover hidden toxins. Here is a good article about how metal toxicity can ruin your health. Now you can do something about it, starting with having a hair analysis done.